can't wait to shoot it for competition with my finn 91/30 repro. this is a molot sniper imported by IO. Probably as close to an original sniper as I'll ever get. It is matching/ force matched trigger base plate with scope serial on receiver. Nice crown/muzzle, classic shellac and dents and dings. arsenal repair on wood behind scope mount cutout. Izzy triangles everywhere. bolt face looks great, barrel looks very good. came with original packaging materials, cleaning kit, manual and oil bottle. Last edited by bounce19712; 03-18-2019 at 10:45 PM. I wonder if that is the circle within a circle stamp on left side of receiver..above the 75 in scope serial number...looks like a circle within a circle. Just because it has been refurbished does not make it not original. Very nice gun, congrats on the purchase. thanks! I believe these Moltos have been vetted by the rockstars of surplus as being worthy. Like I mentioned, as close as I'll ever get. My next purchases is gonna be a repro. Molots are totally legit and in my opinion still well under valued for being an issued ww2 sniper. Do not be like the fool, be like a wise man and build your house on the rock. very nice dude. got any 202 grain Extra brass cased match ammo from the 70s? my holds solid MOA with it. А кто скачет тот полный пидарас которого наебали свои-же лидеры. no, never seven seen reference to it yet in my experience. please send pic. Very nice, I recently picked up a 44 Izzy sniper. Cool. 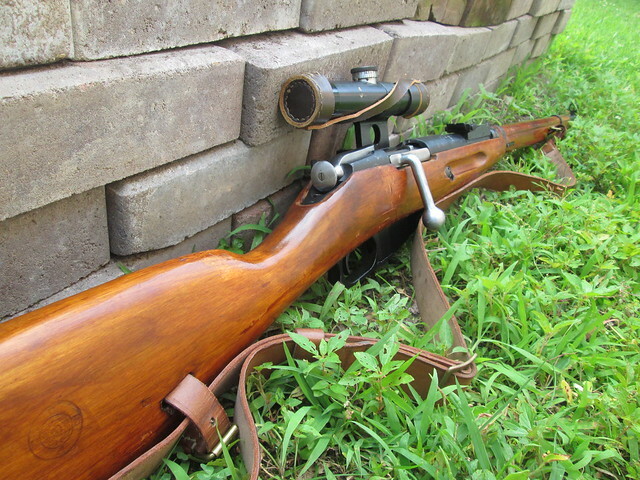 I have a similar 1943 Tula, Molot PU sniper that came from AIM surplus a few years ago. Havent fired it. Matching numbers, all numbers stamped, no electro pencil. Still has some cosmoline, and the shellac job is horrendous. I started cleaning the bolt and action. I got some 1971 blue and yellow box Soviet target ammo to try out in it. I can't wait to shoot it now that I have it apart. Treating everything with Ballistol to be proactive. Picked mine up today, sum pics. Scope mount does not match but I am ok with that. Super faint import mark under the barrel, had to really look for it to find it. Currently swabbing the bore and getting ready to shoot it along with my other MNs in the near future. So fair weather and days off found me back at the range. After shooting I figured out the screws were loose. No problem, got them all tightened down. Have a variety of ammo to shoot and proceeded to do so. Chasing the poi around was a bit frustrating. I think time has not been kind to the scope, at times the rifle would shoot respectable groups. I will look into getting a reproduction scope for it. Overall I enjoyed shooting it. I thought the recoil was not bad. Had a couple duds on my Chinese surplus ammo. Got a couple more spam cans coming from aims surplus. I look forward to shooting my mosins this summer.